ABOUT BNIM BNIM is an innovative leader in designing high performance environments. BNIMâ&#x20AC;&#x2122;s instrumental development of the USGBC, LEED, and the Living Building concept, combined with projects, methods, and research, shaped the direction of the sustainable movement. Through this involvement, the firm has redefined design excellence to elevate human experience together with aesthetics and building performance. In practice, this multifaceted approach to design excellence has yielded national acclaim, including the AIA National Architecture Firm Award, and consistent design recognition nationally and internationally. 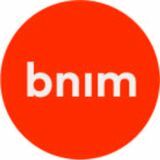 BNIM is Building Positive, a notion that describes how our practice leverages its collective capacity for design thinking to solve issues at every scale in a way that is focused on building the positive attributes of community and the built environment. Through an integrated process of collaborative discovery, BNIM creates transformative, living designs that lead to vital and healthy organizations and communities. The American Republic Insurance building, home to American Enterprise Group (AEG), stands as likely the first concrete and glass modernistic corporate office building constructed in Des Moines, and nationally as one of the early Skidmore, Owings and Merrill (SOM) architect Gordon Bunshaft corporate concrete and glass commissions. SOM has been recognized as the leading corporate architectural design firm of the postWorld War II era. The building’s associations with SOM further elevate its significance. The building’s structural elements also serve as the main architectural elements, which flow from exterior to interior. Some of the design innovations include an upper-story tower supported on steel hinges that appears to float over a light-filled second-story; 90-foot prestressed precast reinforced concrete ‘T’ beams that are expressed on the tower’s exterior and interior; solid east and west concrete walls with recessed tinted window walls on the north and south elevations to reduce glare and air conditioning loads while providing ample natural light within the large workspaces. Preserving the significant architectural and cultural characteristics of the building was of utmost importance during the renovation. BNIM approached the renovation with the intent that its work would be nearly impossible to detect. The effort has been referred to as an “invisible rehabilitation,” a testament to the consideration given to the building’s defining features. BUILDING FLOOR PLANS The following floor plans illustrate the original design (1965), existing conditions (2014) and the innovative rehabilitations (2015) that increase workplace performance and life-safety while preserving the original design intent. ENTRY LEVEL provided an entrance courtyard, lobby, minimal private offices and large computer room with support space. LEVELS 3 - 7 provided enclosed offices and conferencing areas adjacent to the center building core and open flexible work space to accommodate large expanses of desks. 2014 MULLION Replacement of glazing system on Level 3 - 8 with a custom frame to match the dimensions and finish of the original aluminum system and glass color that incorporated a thermal break frame and accommodated insulated glass. 2014 GUARDRAIL Modifications included the removal of the existing hedge and installation of a new guardrail to comply with current building codes. DUCT TOP AND UNISTRUT SUPPORT 13 3/4"
1 SECTION AT FIRE/SMOKE DAMPER 1" = 1'-0"
6 SUPPORT DETAIL 3" = 1'-0"
8 JOIST/DUCT SIDE SECTION 1/2" = 1'-0"
10 DUCT UNISTRUT DETAIL 6" = 1'-0"
The precast concrete â&#x20AC;&#x153;Tâ&#x20AC;? and cast-in-place coffered floor structure is exposed and is one of the defining characteristics of the building. The building heating, ventilating, air conditioning and lighting systems complete the typical ceiling structure and architectural expression creating a glowing series of coffers of light. BEAUTY A majority of the original furnishings were selected or custom designed by Bunshaft and SOM. A number of these pieces, including custom desks, were restored and continue to be used in harmony with new, open office workstations selected and designed by BNIM that preserve access to daylight and views and provide modern workplace amenities. The new workstations address human health and evolving workplace standards, giving employees the flexibility to stand or sit while they work as desired. In keeping with the original minimal design, BNIM incorporated custom sliding glass door office enclosures in the position of the original offices. The original building meshed together workplace and AEGâ&#x20AC;&#x2122;s impressive art collection, the collection of which was initiated with the design of the building â&#x20AC;&#x201D; a museum within an office. The renovated space keeps the art as an integrated part of the experience. 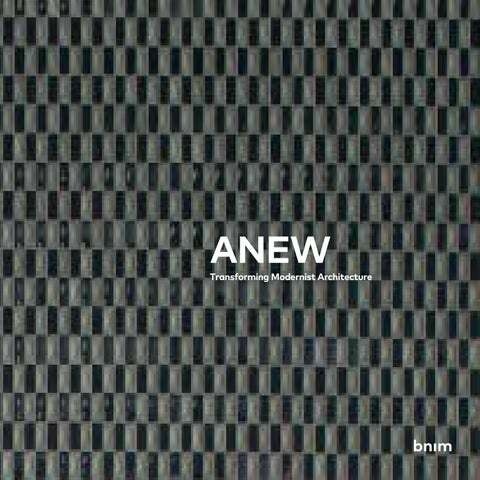 BNIM collaborated with AEG on providing new wall surfaces and substrates for the reinstallation of the art. The interior renovation of 2460 Pershing revitalized the iconic 1970s massive brutalist structure into a modern work environment that is a replicable model for transformative workplace design. Large windows expose views over Kansas Cityâ&#x20AC;&#x2122;s Crown Center commercial complex and landscaped grounds. Workspaces were designed with collaboration and creativity in mind. A large central space spans two studio zones, where teams can meet and utilize various forms of technology to work collaboratively on projects. A total of 15 conference rooms provide spaces for all needs, from secluded areas to work individually to a maker space for prototyping and testing models under a variety of lighting conditions. Much of the renovation involved exposing the details and bones of the structure, integrating features of the buildingâ&#x20AC;&#x2122;s past in its new, modern form. The ceilings are open, revealing the HVAC systems and beams, and a polished concrete floor minimizes the environmental impact of installing new materials. These strategies align with Crown Centerâ&#x20AC;&#x2122;s environmental commitment, including recent completion of 2015 goals achieving 39% energy reduction, 25% water reduction and 61% waste reduction. BNIM continues to work with Crown Center to build a new, extroverted model for the mid-century corporate campus that fosters innovation and collaboration among interdisciplinary tenants. This transformation takes a human-purposed approach to the workplace, providing new amenity spaces to a previously lease-driven layout. BNIM is currently working on a day-lit conference room for the campus and a retail location for a local coffee chain startup. This study will determine what is possible given the needs of users within the department of Journalism and Mass Communication. Meredith Hall is a historically significant building designed by renowned modernist architect Mies Van Der Rohe in 1963. While Drake values the character and history of the structure, energy efficiencies do not meet modern needs and desired modes of learning, collaboration, and interaction are not currently supported. BNIM was selected due to unique expertise in both historic structures and student-centered environments. The study will envision options for renovation, reconfiguration and addition, with the primary goal of serving the users of the space and the future of the University. Images: (above) Birdseye view from northeast of the existing Meredith Hall, (right) the original Mies van der Rohe Architect model illustrating the vision of the building on a plinth. This collaborative office environment was designed to accommodate BNIMâ&#x20AC;&#x2122;s expanding architectural practice in an existing street level urban office building located in the Central Business District of Des Moines, Iowa. While the work stations are relatively fixed, the organization of the spaces, the communal tack wall and open conferencing areas provide for flexibility and sharing of ideas and concepts. Designed initially to provide work areas for 14, the space can comfortably accommodate 18 work areas for future growth. Few walls subdivide the space providing a volumetric environment that can be adapted and changed as working methodologies change over time. Collaboration and communal space is provided at each work area, at the tack wall, in open conference rooms and in the storage and coffee area. Work stations and the conversation table in the coffee area are designed at standup or tall stool height to easily accommodate spontaneous and scheduled conversation, discussions, critiques and interchange. Taking advantage of the north and west floor-to-ceiling windows, work areas are held back to allow all to have access to views and to maximize comfort and daylighting opportunities. The office functions well during periods of intense sun and on overcast days. Reuse of existing office space that had been vacant for 10 years contributes to the sustainable characteristics of the design. Located near bus routes and within walking/ biking distance of numerous employee homes, the office helps reduce the burning of fossil fuels and carbon contributions. As tenants and strong supporters of responsible life styles, BNIM convinced the existing building owners to provide showers for bikers and runners in a remodeled common restroom facility. This space reflects BNIMâ&#x20AC;&#x2122;s culture by being responsible in the use of materials and resources, maximizing the use of daylighting and providing a collaborative studio infrastructure that promotes creativity, excellence, teaching and learning. The active urban corner provides sufficient activity so as to not be a distraction to the creative staff. As a contribution to the City, the office provides a renewed sense of life and activity to a previously dormant intersection. The Robert E. Kennedy Library at California Polytechnic State University (Cal Poly) in San Luis Obispo, originally completed in 1980, is heavily utilized by students, faculty, and the surrounding community. In 2016-217, the library received more than 1.5 million visitors, including researchers from around the world who traveled for its archival collections of manuscripts, rare books, architectural drawings, and photographs. The five-story, 208,433 GSF Brutalist structure is in need of renovation to repair degrading infrastructure, accommodate current and future technology, increase energy and water conservation, and enhance overall functionality and flexibility for the 21st-century student experience. Working with brightspot, BNIM is reimagining the library to achieve its 2015â&#x20AC;&#x201C;2022 Strategic Plan â&#x20AC;&#x201D; as a place where expertise, scholarly content, and technology come together in an experiential learning environment. CONTEXT The design team aims to capitalize on the facilityâ&#x20AC;&#x2122;s existing, intrinsic human-purposed design characteristics, including a central courtyard and views to the surrounding mountains. The projectâ&#x20AC;&#x2122;s temperate, coastal siting also provides opportunities for natural ventilation and daylighting, optimizing passive design strategies to achieve high-performance results and meet Cal Polyâ&#x20AC;&#x2122;s LEED Gold design standard. Connection to Nature - The stepped building form pays homage to the neighboring Nine Sisters mountain range. The building was completed in 1980, and since that time, there had been no significant renovations. Instead, there were several interior improvements made over time, but they did not address issues that were beginning to appear as the building aged, including: Temperature control The windows are manually operated, but there are no controls and no humidity monitoring. Students were often uncomfortably hot inside the building, even on mild days outside. Building systems The elevators were too small and unreliable, and acoustics on the exposed concrete deck were poor. Additionally, there were not enough outlets for students to plug in their laptops and mobile devices. Inefficient use of space As the Library moved a portion of its collections to an adjacent campus building, space utilization became a growing problem. There were many empty pockets of shelves, and certain faculty departments had more space than they needed while students were not provided with adequate study space. Security Security gates were removed over time and visitor check-in occurs at the existing circulation desk adjacent to the entry. Sustainability As an institution, Cal Poly also prioritized sustainable design. All projects must be designed to LEED Gold standards or higher, although they may not seek certification. PROCESS The process began with visioning sessions and identifying metrics for success. The team then moved into the needs assessment and creating the program, while also developing alternative strategies. To determine the vision for the future of Kennedy Library, the team held frequent engagement sessions with students, staff and faculty, including town halls, workshops with staff and stakeholders, and student feedback fairs. In every forum, library patrons have been encouraged to imagine the possibilities for Kennedy Library, from the services it provides to the spaces within the building. Following these sessions, BNIM and Brightspot developed three design concepts, all of which involve updating the central courtyard, removing the main stairs, and introducing a new set of stairs to the courtyard. This will maximize the amount of usable space for library services. Each concept establishes a strong identity for Kennedy Library and achieves the goals outlined in the 2015-2022 Strategic Plan. DESIGN RESPONSES The three distinct design concepts are grounded in several common elements that were derived from the workshops: Establish connections to nature through increased daylighting, natural ventilation, and clear connections between interior and exterior environments. Provide students with a diversity of study space options and additional seats and choices to support quiet, focused study periods and collaborative group work. Identify a staff home base, which is a single, consolidated area where staff can interact and collaborate. Address thermal comfort to support natural ventilation and integrate additional systems as needed. Use long life, loose fit principles to incorporate flexible spaces and prolong the useful life of the building. Increase porosity at the ground level and create a stronger connection to the surrounding campus by including multiple points of entry and locating public programs adjacent to areas of high pedestrian and transit activity. Promote the Libraryâ&#x20AC;&#x2122;s special collections through a global gallery, where they will be celebrated and exhibited throughout the Llibrary. The Bolling Federal Building has been a prominent presence in downtown Kansas City, Missouri since it opened in 1964. BNIM was retained by the General Services Administration to improve the public perception of the building and to develop innovative design concepts in accordance with the “First Impressions” initiative to “improve the appearance and efficiency of GSA buildings.” BNIM’s design addressed many program issues, including site and building security and creating a strong interior-exterior connection. This award-winning design is an example of how beauty, function and security can blend seamlessly into a single, inviting space. The new entry into the Bolling Federal Building, which includes a reflecting pool, provides a model for urban context and a paradigm for federal environments, where open, friendly spaces with “invisible” security impart a contemporary and uplifting impression to the public. Guided in part by Patrick Moynihan’s, “The Guiding Principles For Federalist Architecture”, BNIM’s resulting design of the Bolling Federal Building enhances the connection to the site and to the public realm with a new entry experience. The renovation to the General Services Administration’s Bannister Federal Complex was centered on improving the working environment within a converted warehouse, and includes a new atrium and revitalized office space. The solutions transcend the typical work environment using sustainable design principles and Workplace 2020 initiatives to enhance the life of the users with light, color, space and inspiration. The first aspect of the renovation was introducing a new light well and sculptural element to guide natural daylight into the passageway below, providing a moment of space and light in an otherwise dark warehouse. Adjacent to the atrium, the Supply Service Regional Office space’s design utilizes the benefits of natural daylight and openness from the atrium while maintaining a sense of needed privacy. Worker productivity has increased and absences have decreased since the space has been occupied. The atrium skylight acts as a “Light Machine” that successfully lights the atrium and its adjacent spaces with natural daylight. As light enters the atrium, it is diffused, reflected and redirected through a series of screens, light shelves and colored glass. The resulting design transitions over time, changing throughout the day and seasons; introducing rhythm and movement to the previously listless space. In the adjacent offices, a sculptural cabinet was built along the entire 90-foot entry facade between the office space and atrium. The cabinet acts in many capacities: a library, screen, seating area and identity for the office. The adaptive reuse of Price Gilbert Memorial Library and Crosland Tower at Georgia Institute of Technology will transform the two campus buildings into the Research Library of the 21st Century. The project is a critical initiative of the instituteâ&#x20AC;&#x2122;s strategic plan and vision for transforming the campus into a knowledgebased community. The transformation is founded on changes in the way that students and faculty currently use the library, as well as future trends in library utilization found on peer campuses across the country. Georgia Tech has conceived of a place where knowledge is not simply stored, but generated. Price Gilbert Library is a memorable 1953 landmark. Crosland Tower, completed in 1968, is a building originally intended to store books with limited space for students or faculty. In order to accomplish the vision and be respectful of the buildingsâ&#x20AC;&#x2122; landmark importance, the two buildings were approached differently in terms of architectural design and similarly in terms of human purposed integrated design. The interventions strive to maintain the clarity of the form while connecting the building to the campus and nature where the building touches the landscape, interacting with the sun through the envelope changes and at the roof with the introduction of a new reading room and roof gardens. Central to the long-term success of Price Gilbert and Crosland Tower is the concept of “long life, loose fit” — that the ability to address future, unanticipated needs is something that can be designed. Price Gilbert, with its open plan and high-ceilinged reading rooms, is already an exemplar of this mentality; the goal is to capitalize on and retain its adaptable nature while providing for the same at Crosland Tower. The renovation will create spaces that are functional, flexible, and have plentiful daylight and views. The design team incorporated many sustainable strategies into the design, including chilled beams for cooling and LED lighting throughout the buildings. After the renovation, the population using the buildings will have doubledâ&#x20AC;&#x201D;the 1,250 seats currently in the buildings will grow to 2,360â&#x20AC;&#x201D;yet total energy consumption will be reduced by about a third, and energy consumption per capita will be 80% less than what it is currently.